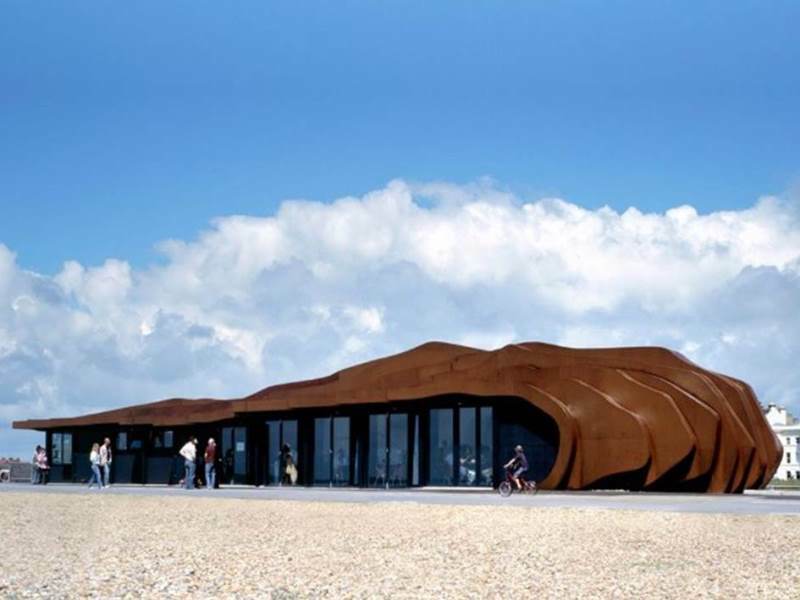 AMA provided mechanical engineering services for the new East Beach Café, a landmark building on the Littlehampton seafront, designed by the Heatherwick Studios. AMA carried out mechanical services design including the calculation of annual CO2 emissions. Energy efficiency measures in the building include a highly insulated external shell of a metal structure with sprayed internal rigid insulation; gas fired condensing boiler serving underfloor heating with heat input to occupied zones only; naturally ventilated main café area.